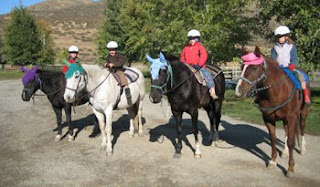 Little Star Horse Camp at Moccasin Lake Ranch ... TOO much fun! Mild winter + early spring = time to ride!! Spring Session will begin in April. The registration deadline is March 26 so keep checking back on the Blog for Registration Forms! Early Bird will run for 8 weeks, from April 5 through May 28th, for $250. Regular Spring Session will run for 6 weeks, beginning April 19, for $200. And, back by popular demand, Four Friday mornings for 4 & 5 year olds, for $120. Winter seems to be giving way to spring here in the Methow Valley. Many of our horses are back in training, getting their brains and bodies fit for upcoming lessons, clinics and competitions. Moccasin Lake Ranch opens for Private Lessons March 1st. MVRU Spring Session begins in April. Check back soon for more info !